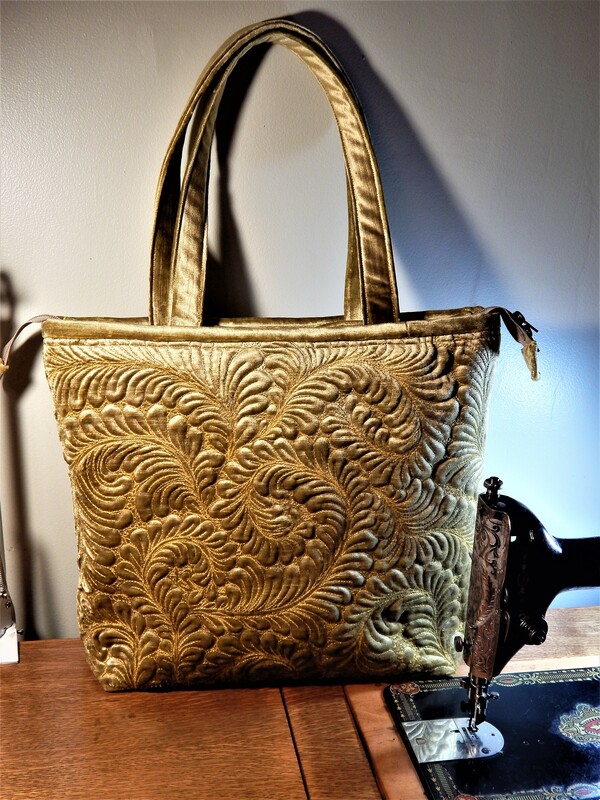 When I started I was having trouble with the batik backing fabric but I got used to it and it is no problem. 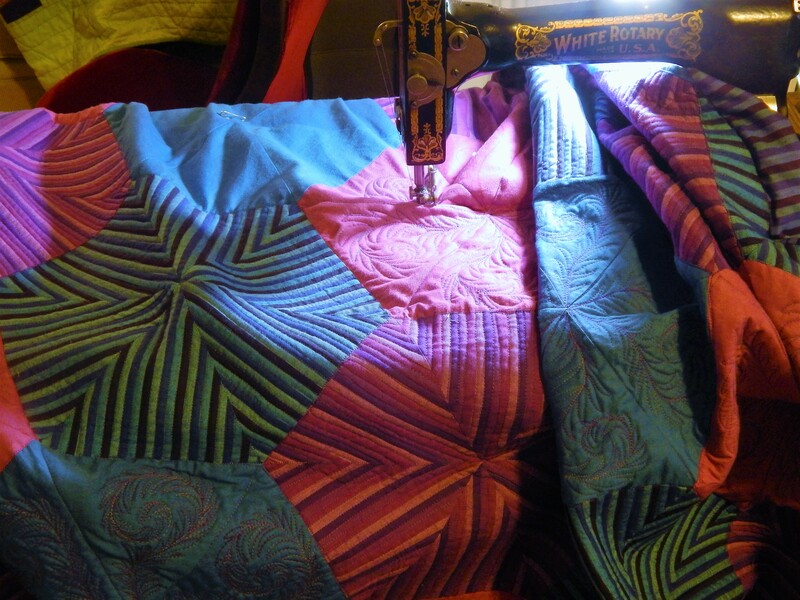 This entry was posted in Quilts and tagged hand quilting, Quilts, whole cloth quilt. A Santa tree is a great idea and yours is beautiful! Of course I like the Scotsman best. 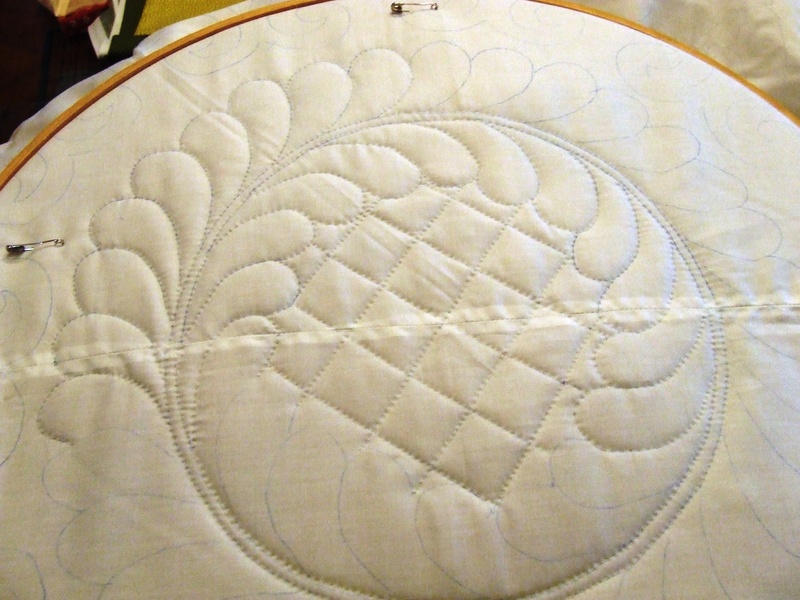 love the batik backing on that quilt – the design really looks good on it. What a gorgeous quilt, your work is inspiring. I too am a hand quilter but definitely not in your category, so glad I discovered your blog. 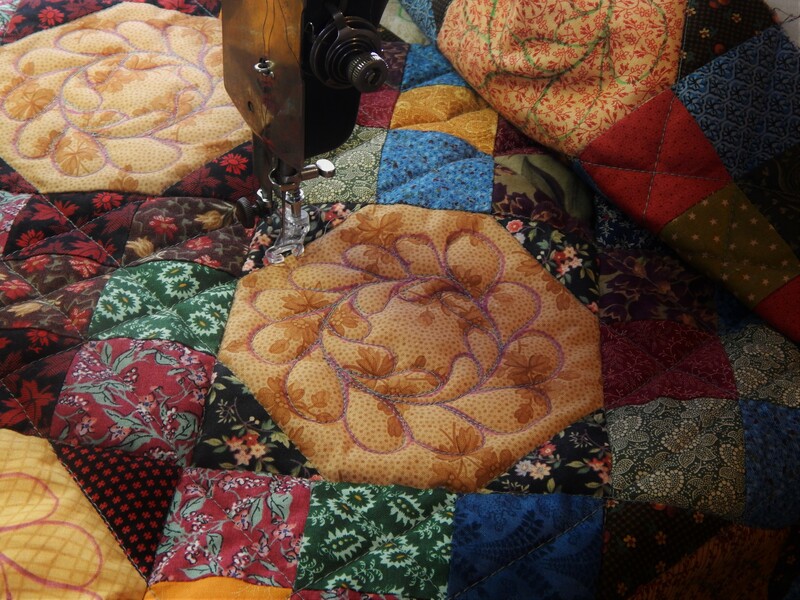 What gorgeous quilting on your quilt. I love those feathers! Great santa tree. Where did you find such wonderful santas? Those are quite neat. How many trees are you putting up this year, Tim?